response from property - Dec 02, 2016 Thank you! We are glad to have happy residents like you! I think that Nexus is a awesome residence and would definitely recommend it to family and friends.submitted by Joseph M. - Nov 22, 2016 |Recommended: YesI would respond by saying that it has to be one of the best places I've lived in a long time. response from property - Nov 23, 2016 Thank you so much for your kind words- we are lucky and thankful to have you as a resident here! Luxury living at its finest submitted by Chibaun R. - Nov 16, 2016 |Recommended: YesConveniently located near stores and shops, beautiful modern design, kind and helpful staff. I am glad to call this home. response from property - Nov 17, 2016 Thank you so much for the kind words! We are glad to have you here! response from property - Oct 12, 2016 Thank you so much for the kind words and we are glad to have you as a resident here! Love living at Nexus at Sandhillssubmitted by Sharon M. - Sep 30, 2016 |Recommended: YesIt's very quiet, and the neighbors are friendly. Spectacular apartments Very convenient to great shopping and restaurantssubmitted by Sam P. - Sep 02, 2016 |Recommended: YesThe staff is so informative and professional. Very nice amenities for professional living and the garages are an extra touch as well. This has been a well thought out place to live, from the valet trash service, to the game room which is clean and comfortable place to bring your friends. Nexus at Sandhills is a great place to live and I couldn't be more at home than a place like here. The property is beautiful and conveniently located. submitted by Kendall S. - Sep 01, 2016 |Recommended: YesOverall it is a very peaceful area and the apartments are very nice. The staff at the office is very helpful and courteous. response from property - Sep 02, 2016 Thank you for taking the time to review our apartments! 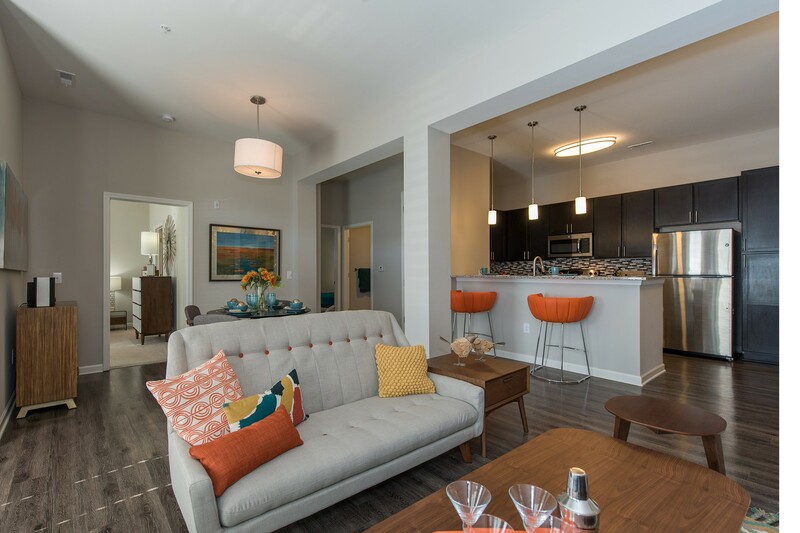 We want to ensure that every resident has an enjoyable experience when residing in one of our apartment homes. We are thankful that you choose to call Nexus at Sandhill as your place to call home! Modern luxury conceptsubmitted by Terry M. - Aug 30, 2016 |Recommended: YesLike the high rise feel of building 1. Granite and stainless was a nice touch of class Iesha and Ty were amazing to work with. I had no issues with getting moved thanks to all of their assistance I would like to see the remainder of items completed that was promised such as the remote entry to the building and the fitness room. response from property - Sep 02, 2016 Thank you for taking the time to review our apartments! If you have any matters that remain unresolved, please reach out to Bonaventurecares@bonaventure.com and we will make certain they are handled in a timely manner. We want to ensure that every resident has an enjoyable experience when residing in one of our apartment homes. We are thankful that you choose to call Nexus at Sandhill as your place to call home! response from property - Jun 24, 2016 Thank you Xavier for your review. We are so glad that we could make you feel a part of the family. We are truly excited to have you here!